Yes, there are people even in the jungle that need to be punished. 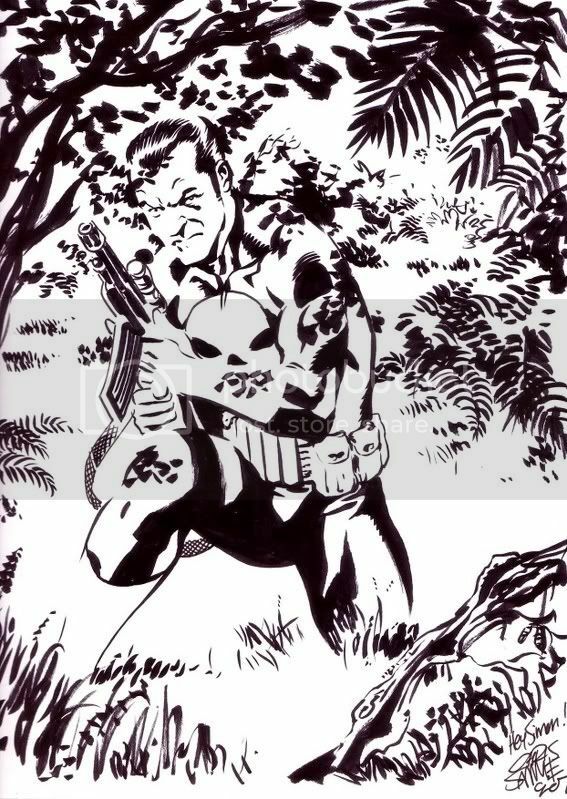 Luckily Simon let me draw the 70s Frank Castle since I'm really fond of the white gloves and boots Romita Sr. put him in back in the day, not to mention the widow's peek and sideburns. Chris, you really rocked the jungle on this one!